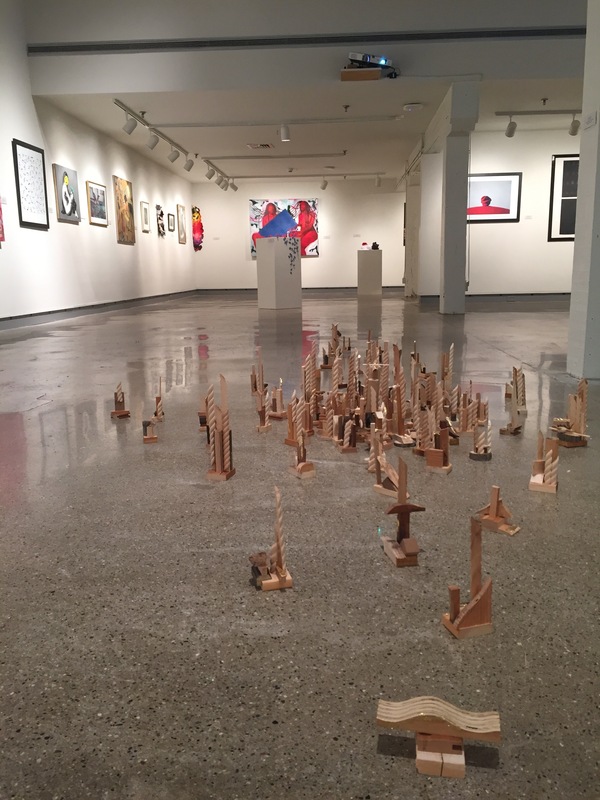 The annual juried art show opened in the DePree Gallery on Monday, November 19th. 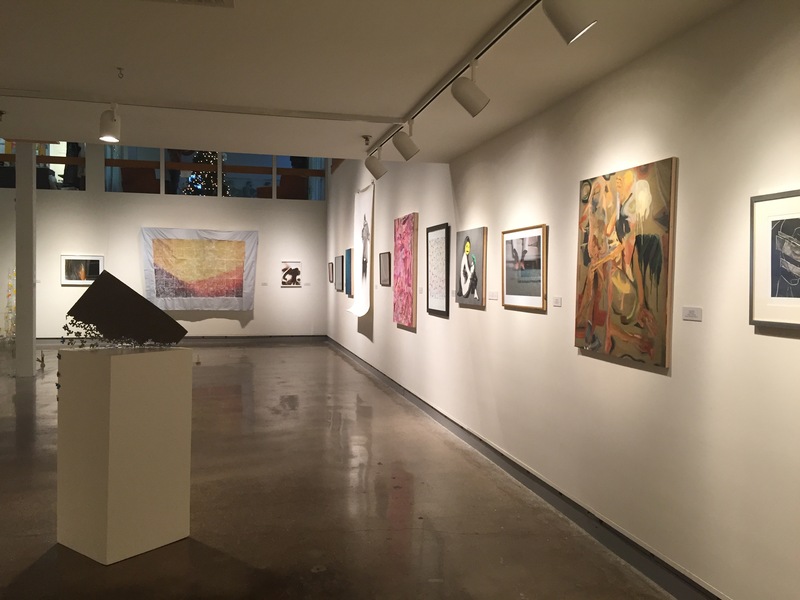 Twenty-eight students have work in the show, including painting, sculpture, works on paper, textiles, new media, and installation art. This year the guest juror is Patrick Earl Hammie, a professor of art at the University of Illinois, Urbana-Champlain. 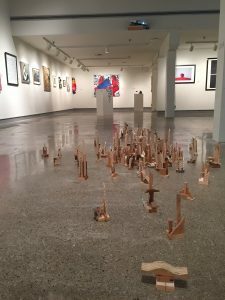 People may wonder what a juried art show is, and why does the Department of Art and Art History include juried shows in the exhibition program? How can someone judge a work, and based on what criteria? Juried art shows are an essential part of an artist’s training. Juried competitions have roots in antiquity. The Roman author Pliny described competitions in Athens in which the greatest artists of Ancient Greece, Praxiteles, Zeuxis and Apelles, participated. Competition was thought to bring out the best in artists, as is the case in sport: the better the opponent, the better one plays. The most famous artist competition in antiquity was the dual between the well-established Zeuxis and the underdog Parrhasios. Zeuxis painted grapes that looked so real, birds flew up to the painting and tried to eat them. On his turn, Parrhasios placed a curtain on the stage. 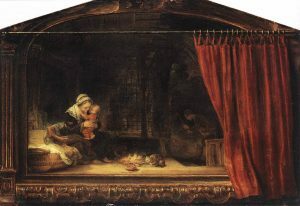 When Zeuxis told Parrhasios to reveal the painting behind the curtain, only then did Zeuxis realize he had been fooled by Parrhasios’s life-like painting of a curtain. 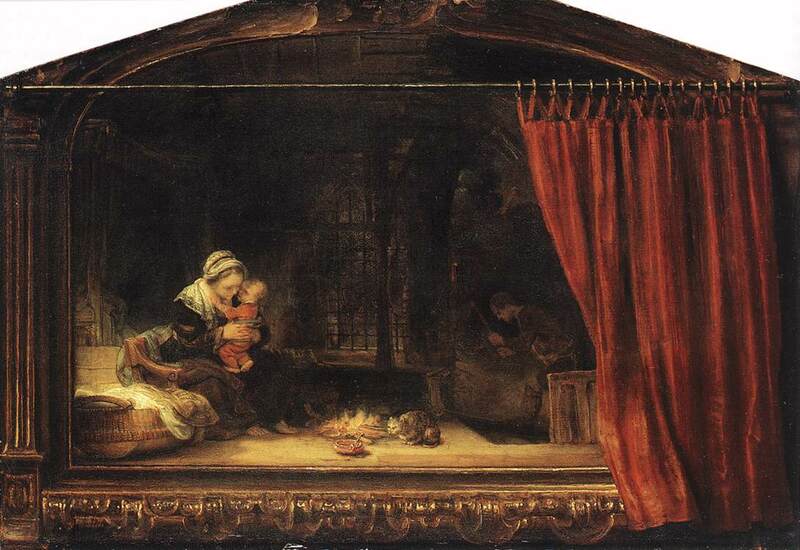 Many artists, including Rembrandt, refer to this story in their works as a way to show off their skill and compete, so to speak, with the great painters of antiquity. 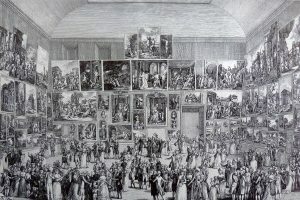 Juried salons often caused controversy. In 1863, the Salon committee rejected the works of several artists, including the French modernist Manet and the American painter Whistler, due to their new and non-traditional approaches to style and subject matter. 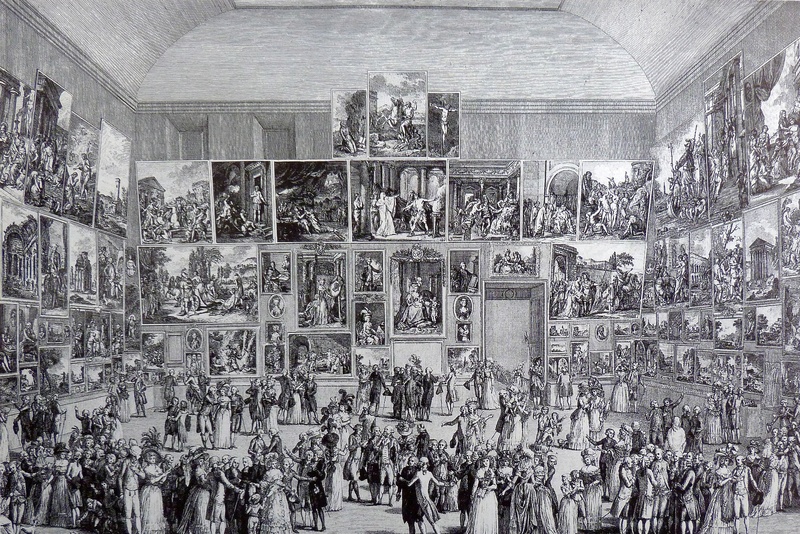 These artists complained to the Salon committee and were given an alternative exhibition space called the Salon des Refusés (Exhibition of the Rejected Ones). Juried artwork must stand on its own … meaning the work itself must do the talking. When a student submits work to a juried show, the work must stand on its own. This means the student-artist will not be present to explain what he or she meant or intended when the juror looks at the work. The work itself must do the talking. In preparing for the exhibition, the student-artist must think about the details that are all too easy to overlook in a regular assignment. For example, the student must come to a point where the work feels finished. This includes a myriad of decisions such as (and not too different from essay writing): Is my main idea clear? Is it a relevant idea? Does my work have a perspective? Have I used my skills intently? Have I straightened the edges, dried the paint, polished the plate? How should I display my work? Good art is less about inspiration than about decisions. At Hope College, the guest juror is alone in the gallery as he or she selects the works for the show. The juror looks at each work individually as assess the work’s merits. The juror also tries to make a coherent show by considering how the works will function together as an ensemble. When Hammie spoke about his process in jurying, he said that he looked for works that connected to him on a personal level. For Hammie, the question was: what is visually arresting about this work? Hammie looked at whether the artist’s intent was clear. He also selected works that surprised him or confronted him with the unexpected: confident skill, nuanced colors, bold size, and new media. Walking through the exhibition, the visitor can feel Hammie’s attraction to bold colors, compelling formal presentations of the body and interplays of scale and materials. 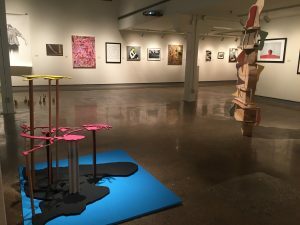 The student juried show is an invaluable opportunity for Hope College students that is not typical of undergraduate studio art education, even at many elite institutions. 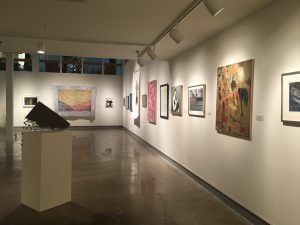 All of the artists in the show should feel a sense of satisfaction and accomplishment that their work is exhibited in a professional-level art gallery. “It’s a new feeling to have your work displayed for everyone to see,” says Wade. “Hammie chose work that makes you think. It’s more than just technical skill. 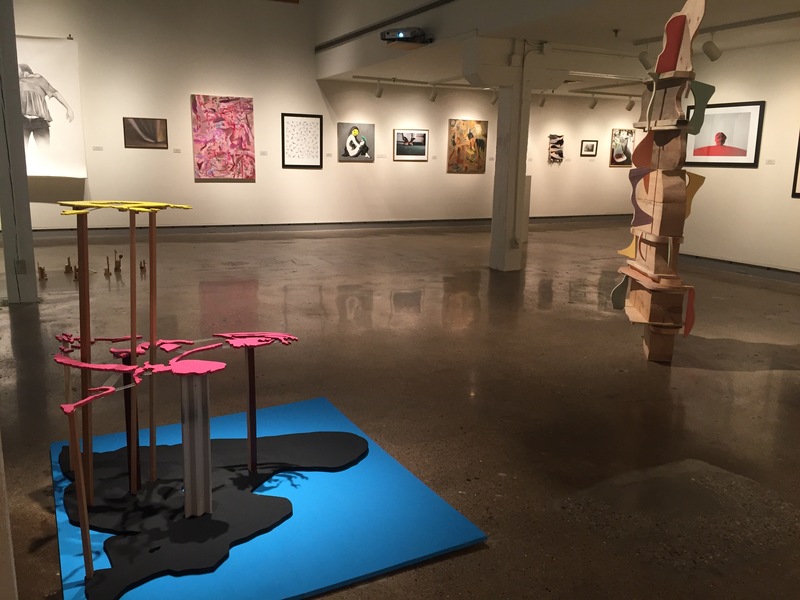 It’s about looking and not walking away.” The student juried show is an invaluable opportunity for Hope College students that is not typical of undergraduate studio art education, even at many elite institutions.